Another simple but extremely useful new feature has been deployed today. 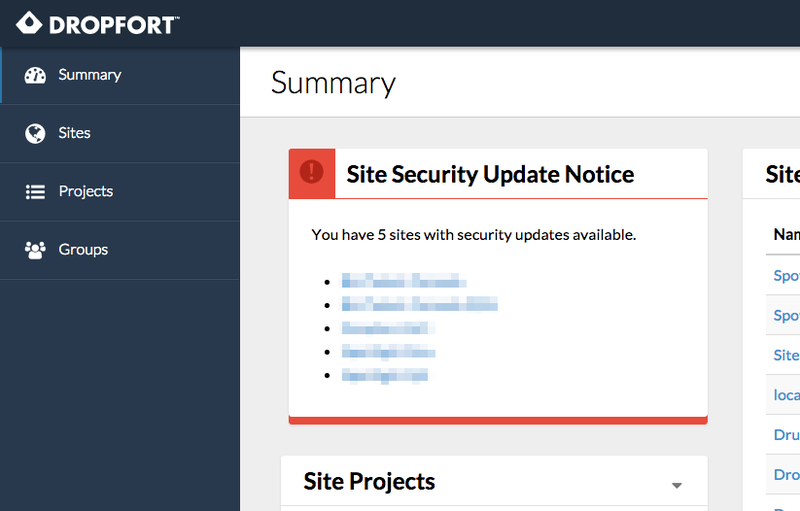 Now you can see which sites have security updates pending on your dashboard. The notices will go away once the site’s security updates have been applied. We’ve also pushed up a few theme changes and security updates to contributed modules. As usual, if you like what you see or have any suggestions feel free to contact us with the “Send Feedback” button in Dropfort.